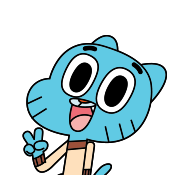 THE AMAZING WORLD OF GUMBALL THE AMAZING WORLD OF GUMBALL and all related characters and elements are trademarks of and © 2011 Cartoon Network. 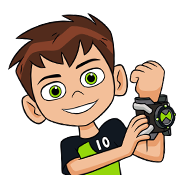 BEN 10 and all related characters and elements are trademarks of and © Cartoon Network. BEN 10 OMNIVERSE and all related characters and elements are trademarks of and © Cartoon Network. BIG BABY and all related characters and elements are trademarks of and © Cartoon Network. BOBB’E SAYS and all related elements are trademarks of and © Cartoon Network. BOOMERANG and all related elements are trademarks of and © Cartoon Network. BRAINRUSH and all related elements are trademarks of and © Cartoon Network. CAMP LAZLO and all related characters and elements are trademarks of and © Cartoon Network. 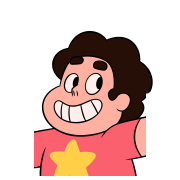 CARTOON NETWORK UNIVERSE FUSION FALL and all related characters and elements are trademarks of and © Cartoon Network. CLARENCE and all related characters and elements are trademarks of and © Cartoon Network. CODENAME: KIDS NEXT DOOR and all related characters and elements are trademarks of and © Cartoon Network. COURAGE THE COWARDLY DOG and all related characters and elements are trademarks of and © Cartoon Network. DESTROY BUILD DESTROY and all related elements are trademarks of and © Cartoon Network. DEXTER'S LABORATORY and all related characters and elements are trademarks of and © Cartoon Network. DIAL M FOR MONKEY and all related characters and elements are trademarks of and © Cartoon Network. DUDE, WHAT WOULD HAPPEN and all related elements are trademarks of and © Cartoon Network. ED, EDD N EDDY and all related characters and elements are trademarks of and © Cartoon Network. THE FLINTSTONES and all related characters and elements are trademarks of and © Hanna-Barbera. FOSTER'S HOME FOR IMAGINARY FRIENDS and all related characters and elements are trademarks of and © Cartoon Network. FUSION FALL and all related characters and elements are trademarks of and © Cartoon Network. GARFIELD © Paws, Inc. THE GARFIELD SHOW © 2008-2010 Dargaud Media. 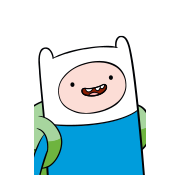 GET ANIMATED and all related elements are trademarks of and © Cartoon Network. THE GRIM ADVENTURES OF BILLY & MANDY and all related characters and elements are trademarks of and © Cartoon Network. MY GYM PARTNER'S A MONKEY and all related characters and elements are trademarks of and © Cartoon Network. HOLE IN THE WALL ™ and © FreMantleMedia North America, Inc. HOT WHEELS: BATTLE FORCE 5 © 2009 Mattel, Inc. All Rights Reserved. MATTEL, HOT WHEELS, and associated trademarks and trade dress are owned by Mattel, Inc. I AM WEASEL and all related characters and elements are trademarks of and © Cartoon Network. JABBERJAW and all related characters and elements are trademarks of and © Hanna-Barbera. THE JETSONS and all related characters and elements are trademarks of and © Hanna-Barbera. JOHNNY BRAVO and all related characters and elements are trademarks of and © Cartoon Network. JOHNNY TEST © Johnny Test Productions, Inc. A subsidiary of Cookie Jar Entertainment Inc. All Rights Reserved. THE JUSTICE FRIENDS and all related characters are trademarks of and © Cartoon Network. KRYPTO THE SUPERDOG and all related characters and elements are trademarks of and © DC Comics. LEGENDS OF CHIMA LEGO, the LEGO logo, and Legends of Chima are trademarks of the LEGO Group of Companies. © 2013 The LEGO Group. THE LOONEY TUNES SHOW and all related characters and elements are trademarks of Warner Bros. Entertainment, Inc.
MIXELS program © 2014 Cartoon Network. Produced under license with The LEGO Group. MOVE IT MOVEMENT and all related characters and elements are trademarks of and © Cartoon Network. NBA and all related elements are trademarks of and © NBA Entertainment. PINK PANTHER AND PALS and © Metro-Goldwyn-Mayer Studios Inc.
POKÉMON © 2016 Pokémon. 1997-2016 Nintendo, Creatures, GAME FREAK, TV Tokyo, ShoPro, JR Kikaku. ™, ®, and the character names are trademarks of Nintendo. POKÉMON: BLACK & WHITE © 2011 Pokémon. © 1997-2011 Nintendo, Creatures. GAME FREAK, TV Tokyo, Shopro, JR Kikaku. Pokémon properties are trademarks of Nintendo. THE POWERPUFF GIRLS and all related characters and elements are trademarks of and © Cartoon Network. 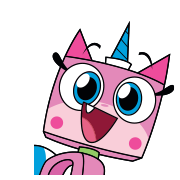 SECRET MOUNTAIN FORT AWESOME and all related characters and elements are trademarks of and © Cartoon Network. SIDEKICK © 2009 Nelvana Limited. TEEN TITANS GO! © Warner Bros. Entertainment Inc. 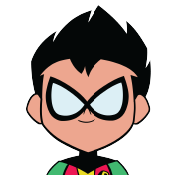 TEEN TITANS and all related characters and elements are trademark of and © DC Comics. TIME SQUAD and all related characters and elements are trademark of and © Cartoon Network. TKO: TITANIC KUNGFUBOT OFFENSIVE and all related characters and elements are trademarks of and © Cartoon Network. TOM AND JERRYand all related characters and elements are trademarks of and © Turner Entertainment Co.
TRACK RATS and related elements are trademarks of and © Cartoon Network, Inc.
UNCLE GRANDPA and all related characters and elements are trademarks of and © Cartoon Network. UNNATURAL HISTORY and all related characters and elements are trademarks of and © Warner Bros. Entertainment, Inc.
YOGI BEAR and all related characters and elements are trademarks of and © Hanna-Barbera.